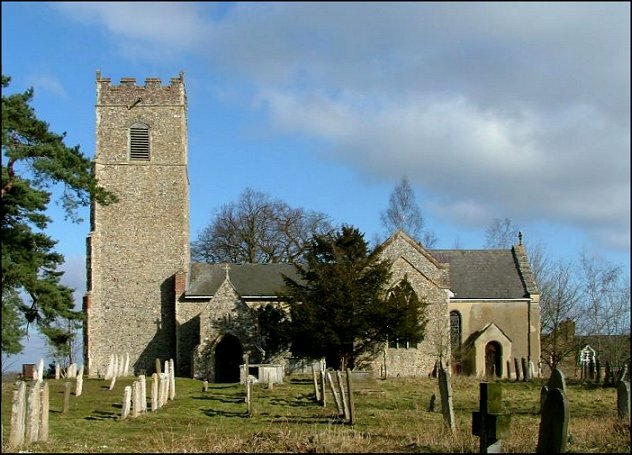 Bergh Apton, pronounced bur-apt'n, is one of those insubstantial, difficult to grasp parishes that you find so often in Norfolk. 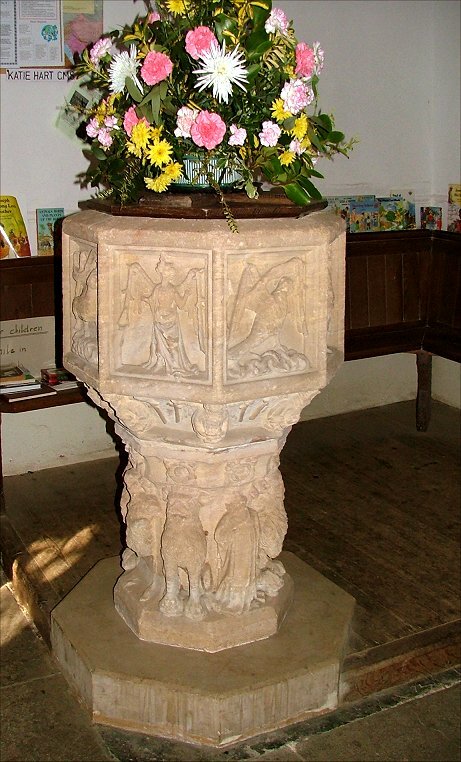 The road signs that lead to it call it variously Bergh Apton, Burgh Apton and Berghapton, and the church is just as elusive as you trawl the rambling narrow lanes. No doubt the people who live here would not have it any other way. 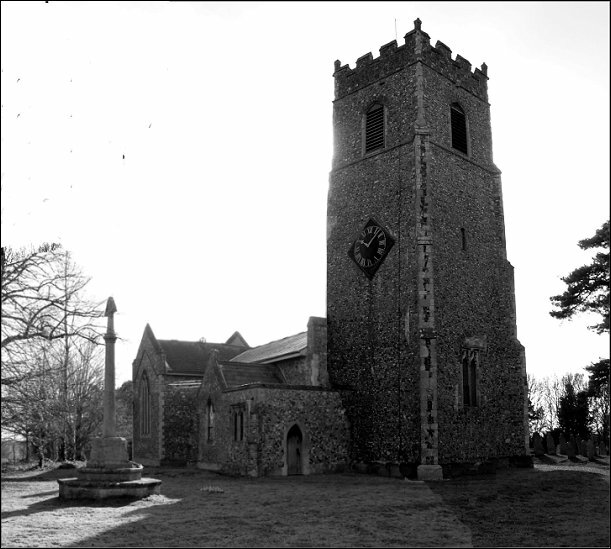 The setting at the church, on a wide bend where the road doubles back, suggests that this is an ancient site. We know there was a Roman camp here, but archaeological investigations have revealed something even further back, a Bronze Age settlement which may have been of some importance. 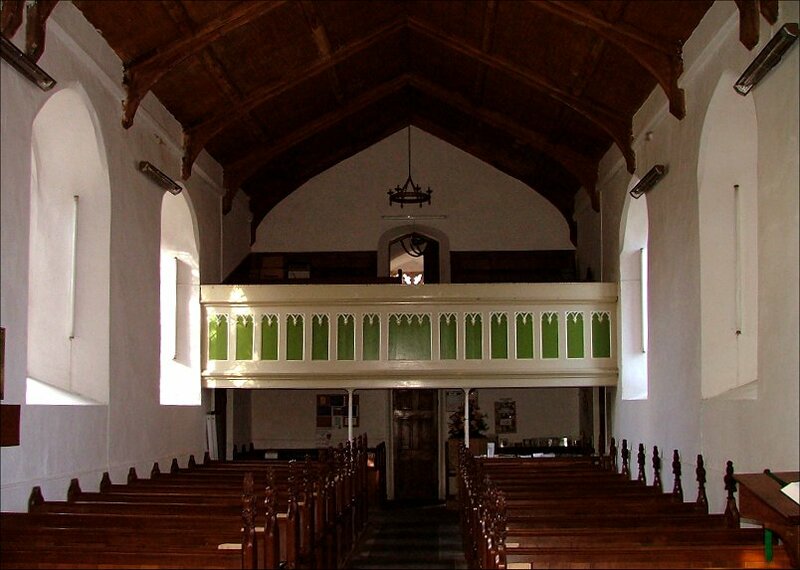 The nave seems of inconsequence beside the chancel, which has been augmented here by large, rebuilt transepts. 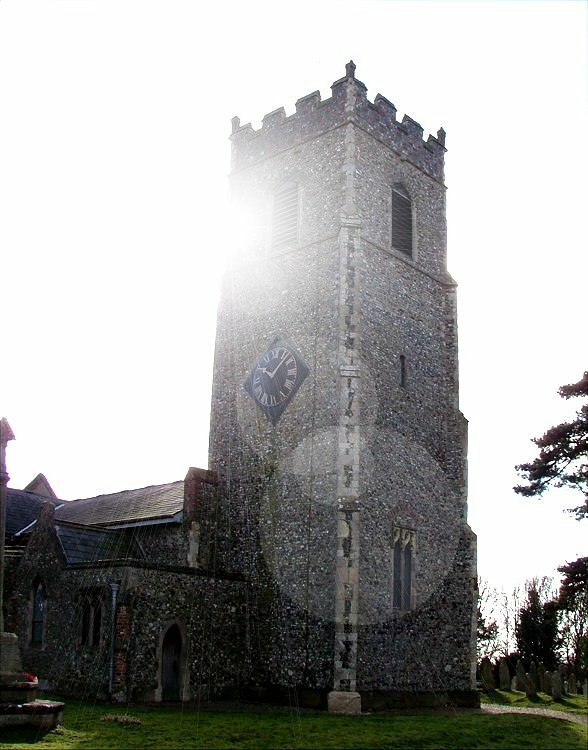 The tower is spectacular, easily as tall as the church is long. 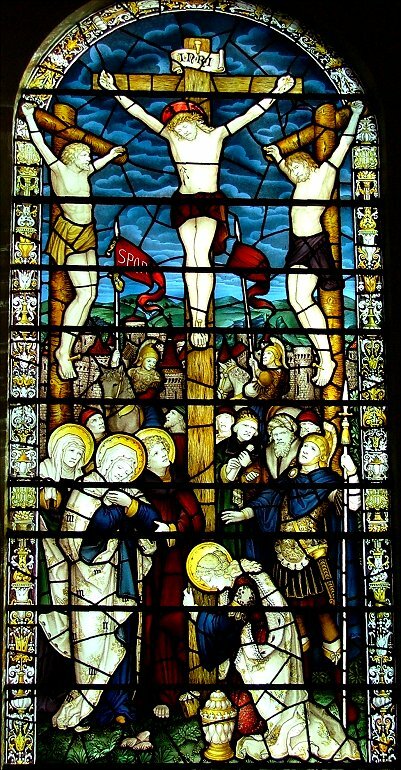 A tension is created by the large transept windows and the tower appearing to squeeze the nave between them. 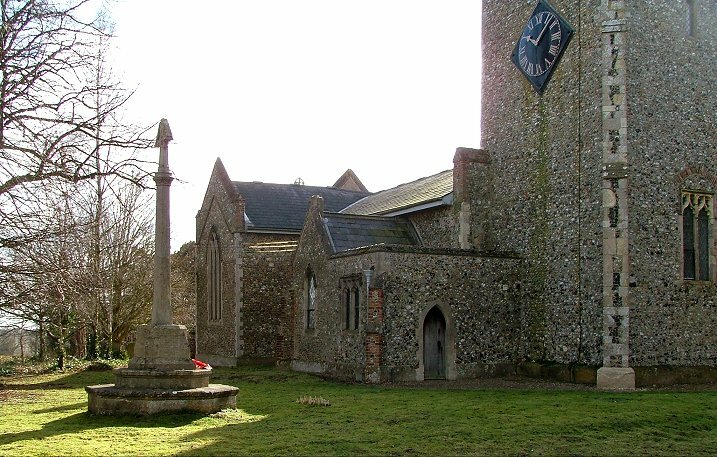 The north side of the church is close to the road, but the south side of the graveyard is wide and open, making a whole perspective of the building possible. 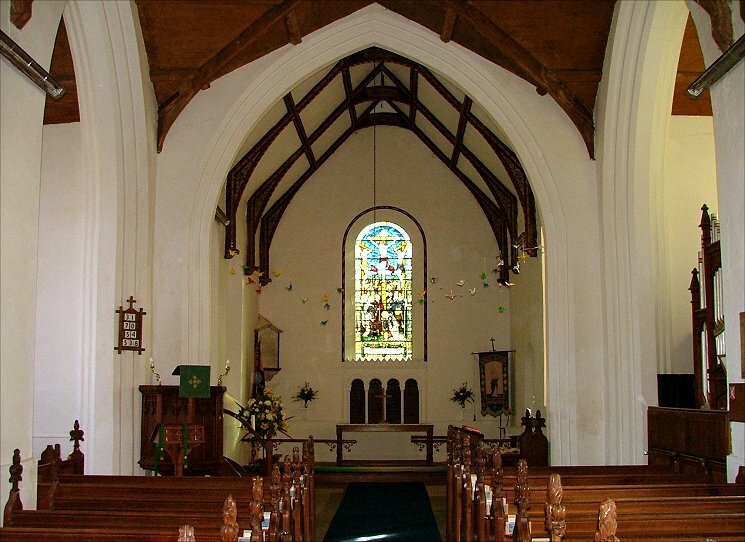 The tall porch and a large tree make the nave disappear almost completely. 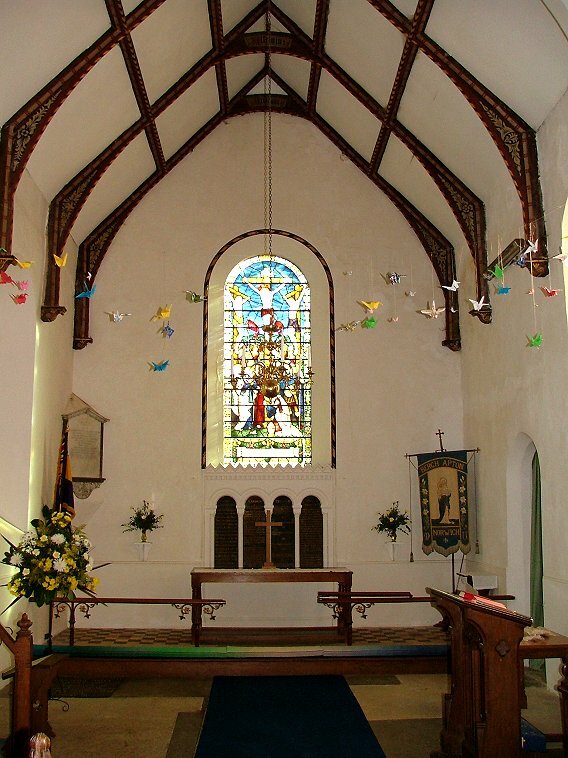 As with the rest of this benefice, St Peter and St Paul is open and welcoming to visitors. 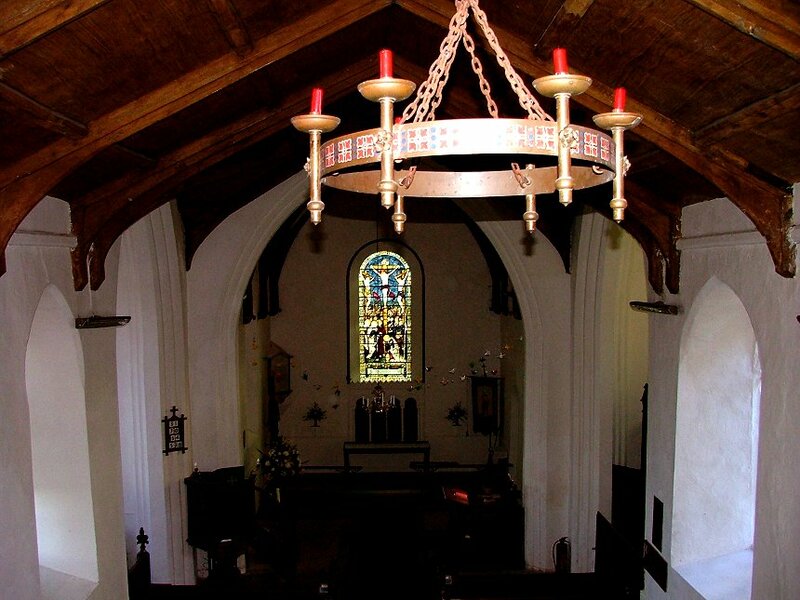 You step inside, and the narrowness of the nave is accentuated by the way the transepts open out. A large west gallery completes the sense of a contained space. 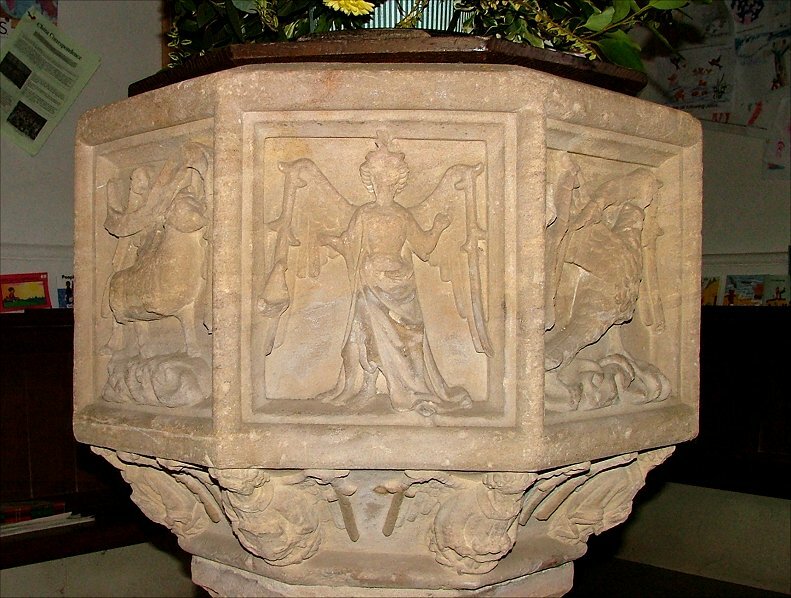 Below it is Bergh Apton's great treasure, an intriguing font with angels and evangelistic symbols. 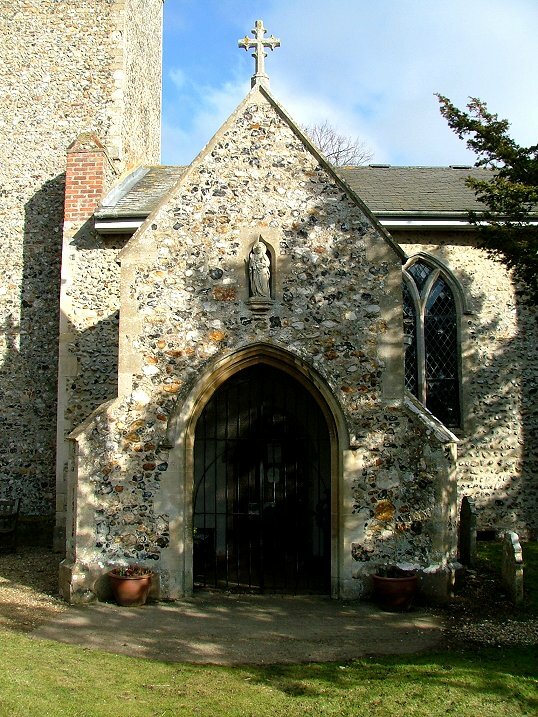 The subjects are typically East Anglian, but the carvings are unlike any others I have seen, and the angel on the south-east panel must surely be intended as St Michael. 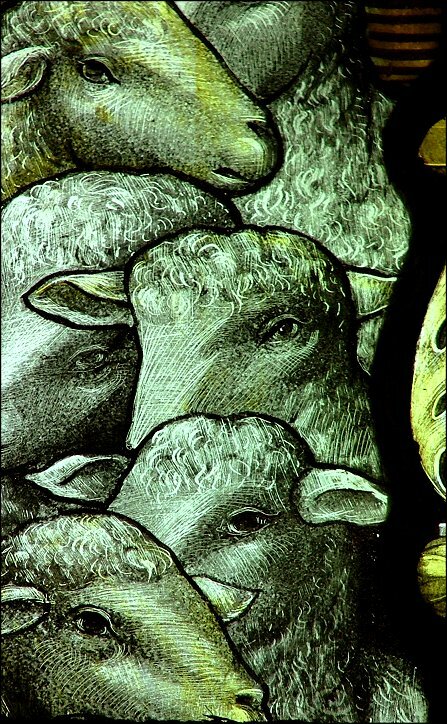 There's some good 19th century glass, including a pleasingly busy crucifixion scene, and some worried looking sheep who might easily be in the meadow across the lane from the church. 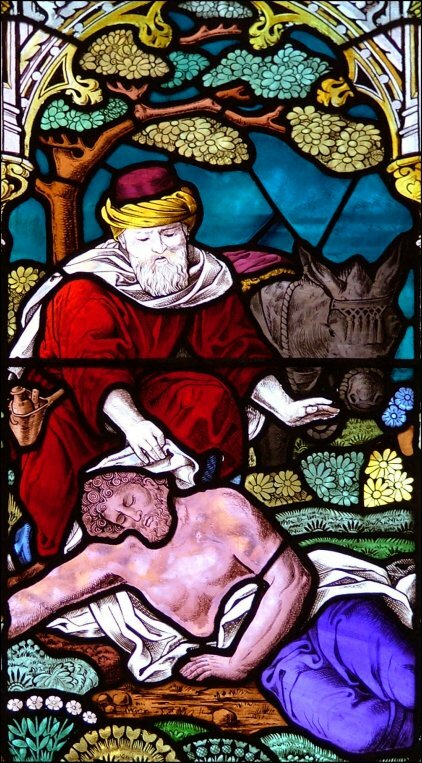 The donkey in the Good Samaritan panel looks rather more patient. 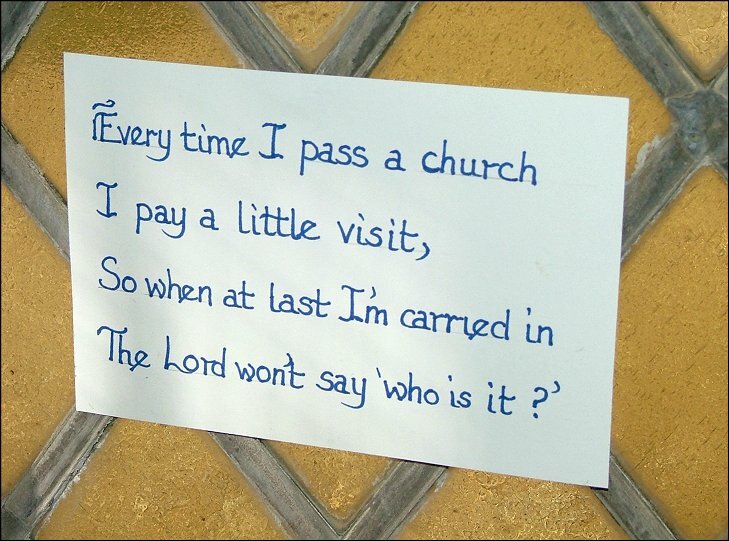 I couldn't help thinking that such a sentiment would be beyond the comprehension of the handful of Norfolk parishes that lock pilgrims and strangers out of their churches.